Hi, There aren't many cases out yet for the RPI 3 Model B+ so i'm thinking of buying a case that was designed for the RPI 3 Model B and use it for the B+.The case in question is an KKSB Aluminium Case for the Raspberry Pi 3 Model B https://www.kksb-cases.com/kksb-raspber ... minum.html Will the case be compatible with The Raspberry Pi 3 model B+ as well? My Pi: Raspberry Pi 3 Model B+, Samsung Pro Plus MicroSDXC 64GB, KKSB Stainless Metal Case. I bought a case for my 3B+ that said it was compatible with 3B and 3B+, but I had to grind away some of the plastic of the case to get it to fit properly due to components on the board that interfered with the case. the Case I bought was one of those that are 6 layers of plastic that stack with a fan. It worked fine after the cutting of plastic. I only have 2 Pi3 cases (both originally bought for the 3b), one has no issues ( a Flirc ) the other supplied with my retropie kit would need a little cosmetic work before I try to put the 3b+ into it. The PoE headers interfere with that case (grind down the obstructing plastic or cut of the headers). I stress neither case was advertised as being 3b+ compatible. Scotty never said "I canae give her any more Captain, She'll blow". B'Elanna Torres however did say "Get the cheese to the sickbay"
I have this case and can confirm that it fits perfectly. I have my Raspberry Pi 3 B+ inside of it as I type. Comes in Blue, Black, Red, or Clear and has a spot for a fan. There are various other websites around the net selling this exact case too. will it be compatible with the PoE hat as well ? 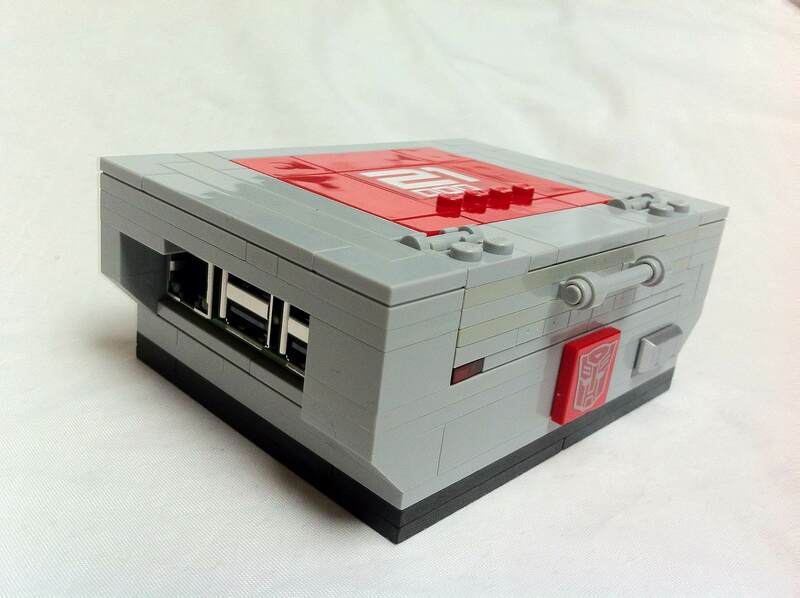 If you have LEGO lying around then you could build a case.